Announcing the opening of the exhibition at the Museum of Tolerance, August 16th, 2012. The exhibition of more than 80 prints was curated by Howard Spector, Los Angeles, CA, co-director of the South Pasadena Arts Council (SPARC), an NGO consultant, and panelist for the National Endowment for the Arts and the US Dept. of Education. “Many of us, who have watched the unrelenting, horrific images of faraway wars on television or in the newspaper, don’t understand or have become desensitized to the long-term effects these conflicts have on the lives of those who endure them. 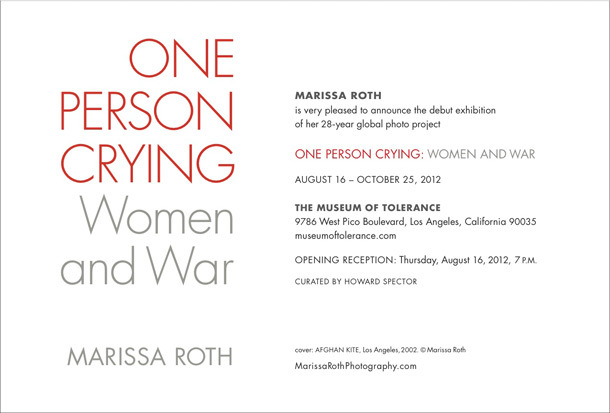 Marissa Roth has brought a compassionate vision and understanding to the women she presents to us. Her photographs and collected stories are compelling documents of lives both physically and psychically altered by these experiences. 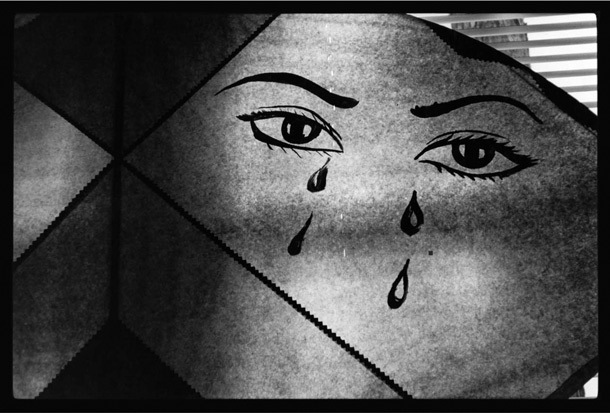 Roth approaches her subjects with an empathetic eye and heart, and portrays them with dignity and respect,” said Spector.